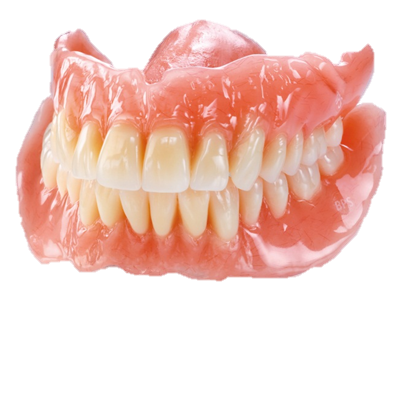 Complete dentures are the traditional method for replacing teeth when the patient has no teeth. While not exactly replicating someone’s natural teeth, fully flexible and partial dentures allow for better function and esthetics than broken down or no teeth at all. Denture teeth are like natural teeth with many varying shapes and sizes. 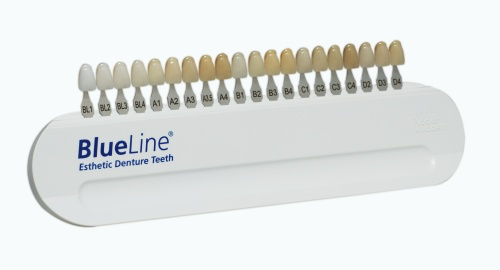 Here at KC Complete Prosthodontics in Kansas City, we use premium teeth from Ivoclar Vivadent Blueline and Phonares lines, which allows us to offer 60 molds of front teeth in 20 shades to meet each individual patients esthetics needs. We also offer multiple occlusal (bite) schemes to give your dentures the best chance at success during functioning (chewing). We have actual permanent molds of the teeth for you to look at prior to your selection. One of the most important aspects of the denture is the impression (the mold of your mouth). If the impression is poor, the fit of the denture will be as well. At KC Complete Prosthodontics, all aspects of your denture impression will be custom to your mouth with the most accurate material. The extra step of multiple impressions are what makes the fit of the denture better. Come in today and see how the extra steps we use makes a difference in how your denture fits.